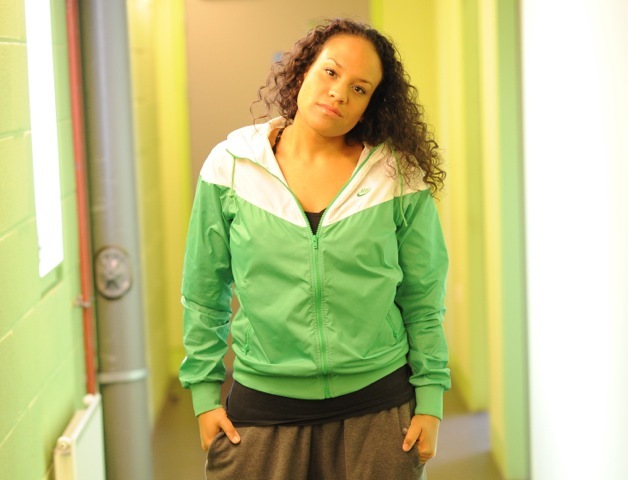 Award winning choreographer and dancer specialising in underground styles including street dance, Kymberlee Jay has 21 years of experience and has worked with a variety of companies and clients including Nike and Madonna. What makes her unique? She’s self taught and prefers masculine hip hop moves – beating the boys at their own game! Remarkable Women connected by Nokia is a celebration of 50 women who are true ‘Unfollowers.’ These Remarkable Women are challenging normal conventions, bravely being different and inspiring others. What made you agree to be part of the Remarkable Women campaign, and what do you hope to achieve with your involvement? The Remarkable Women campaign has been a wonderful opportunity to celebrate the success of women across a number of industries and I feel honored to be a part of it. It’s extremely rare to be recognised for any achievement as a female dance professional in the commercial/hip hop dance industry and I was blown away when I was approached to a Remarkable Woman – it didn’t take much for me to agree! I hoped to (and have been able to) connect with other women who are leaders in their field but who also have unconventional backgrounds. I have found that even though we all work in different industries, many of our stories are the same and it’s great to have this network where we can all support and encourage each other as we continue on our journeys. I listened to your interview on the Remarkable Women site, where you said that you gave up Medical School to pursue your dreams of being a dancer, which must have been a tough decision to make. Did you have a clear goal in mind, and how did you go about working towards it? Unfortunately when I left university I didn’t have a goal – all I knew was that I loved to dance and if I was able to pay my rent whilst doing it then I had won. I had absolutely no idea of how to make it as a professional dancer, I just kept my fingers crossed and my eyes open. When you look back, was there a moment when you thought, ‘This is it. This is my breakthrough. I can make a career out of dance!’, or did that realisation come gradually? The realisation hit me when I had actually given up! I had a very difficult time with the industry not accepting me as a dancer and so decided that maybe I should get a “proper job”. I quit dancing and began working as an administrator, then 3 weeks into having that job, my advert for Nike was released on TV in the UK, Europe, The Middle East and Africa. I realised then that there was a place for me in the dance industry, despite being told by the major players that there wasn’t, and I was going to keep fighting for my career. What was the most exciting moment of your career so far? And what was the toughest moment? The most exciting moment was being able to work for Madonna – I had followed her career since I was 3 years old and remember dancing along to the “material girl” and “vogue” videos, so it was amazing to work on her music videos. There are so many tough moments that I have lost count, from being told that I was not (and never would be) good enough in hundreds of auditions, getting injured and having to dance with torn muscles and broken bones, constantly living on the breadline and sometimes not being able to afford my rent payments, being laughed off of a reality TV show…the list is endless! How did you get past that toughest moment? To be honest, there was no easy way to get past the tough moments. I guess I just reminded myself that I danced because I loved to dance – I never had any intention of becoming super successful, rich or famous, I just wanted to earn enough money to keep a roof over my head so I could wake up every day and do what I loved. I can say that the feeling of performing could completely eclipse ANY of the tough moments I had gone through – so if you really love what you do with all your heart, you will always get through the obstacles. If you could go back and give one piece of advice to your 11yr old self, what would that advice be? I wouldn’t give myself any advice! I am where I am today because I made the choices I did without any foresight into the future. Not all of my choices were the right choices, but my decisions whether good or bad have made me the person I am and taught me some valuable lessons. I am a true believer in the idea that every time we think we have failed, we have actually just got one step closer to getting it right. Kymberlee will be joining fellow Remarkable Women for the Be Remarkable Conference on 1st December. The ‘Be Remarkable’ Conference is aimed at girls aged 11-14 years old. It is a one day workshop for girls to learn more about friendships, raise their self-esteem, equip them with the tools to help them feel great about who they are and give them uber amounts of confidence to make good choices. There will be four workshops running simultaneously throughout the day and each girl will attend all four. Each workshop is being run by a ‘Remarkable Woman’ – selected from the‘Remarkable Women’ programme run by Nokia. ‘Be heard’ run by Jane Bradley, founder and editor of For Books’ Sake, the UK webzine dedicated to promoting and celebrating writing by women. Jane will be running a creative session making mini-magazines celebrating positive role models and identifying attributes they have in common. ‘Be your own BFF’ run by Marverine Cole, Journalist and TV Presenter. Marverine will reveal some of the tips, hints and tasks she discovered to help the girls to learn to love themselves more and become their own best friend. ‘Be who you want to be’ run by Kymberlee Jay established choreographer, dance teacher, performance coach and Nike Athlete. Kymberlee will be using dance and great music to show the girls that their only limitation is their imagination. ‘Be true’ run by Laura London, a successful magician who at the age of 18 became the youngest female member of the Magic Circle and performs internationally. With a magical theme and tricks Laura will be addressing all things friendship. Ruby and Kimberley from The Great British Bake Off are going to be opening the event. Ruby is the youngest baker in Series 4 at 20 years old and Kimberley is a psychologist as well as loving to cook. Both speakers will be sharing their experiences of being a part of the show and their secrets to loving and accepting yourself.